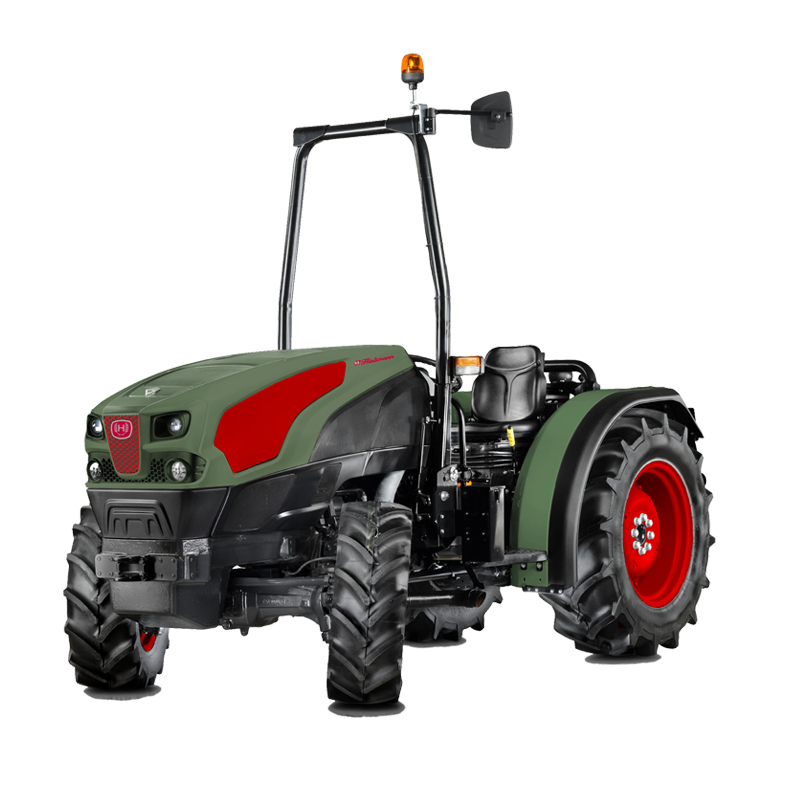 Highly practical, fulfilling the need for a simple, economical and functional tractor. 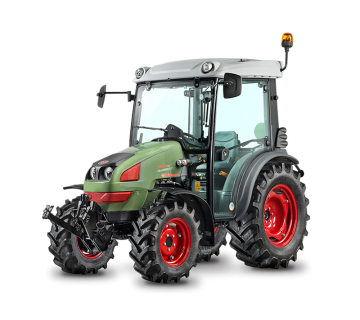 Cab-less tractors with a platform, ideal for handling the daily issues encountered while working on fruit plantations with any kind of implement and, if required, at low operating costs. Rounded lines for the bonnet, engine and mudguards in the familiar Hürlimann style. The image is of a basic tractor that offers a compact overall design for working between rows of plants on fruit plantations. Functional design for maximum performance with compact dimensions. When working in the narrow rows between plants on plantations, XF Tradition T4i FARMotion engines with three or four cylinders, a common rail injection system and seven-hole injection nozzle are capable of delivering perfect combustion for improved performance. Thanks to their electronically controlled EGR and DOC catalytic converter, they all comply with the Stage 3B standard. To achieve maximum productivity, it is also possible to save your ideal engine speed for each of the various items of machinery. The fully mechanical, synchronised five-gear transmission with 20FG+10RG and two travel ranges with synchronised mechanical reverse shuttle forms the basis for finding the ideal speeds for working between rows of plants. The OVERSPEED transmission with 30FG+15RG is economical when driving at maximum speed during on-road travel, as it operates at low revs for a low consumption. XF Tradition T4i's can be equipped with a PTO output shaft with two (540/540ECO) or three speeds (540/540ECO/1000) and ground speed PTO with mechanical engagement. To guarantee maximum traction in any conditions, the shaft is engaged mechanically both for the front wheel drive and for the differential gears. A braking system that is adjusted to performance shortens braking distances thanks to braking on all four wheels. 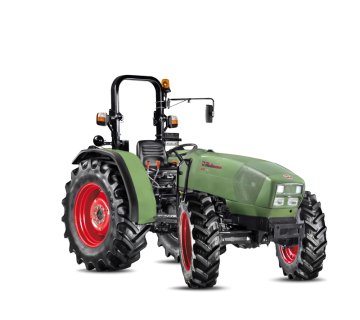 The XF Tradition T4i employs a 45 l/min hydraulic system, which operates a 2,800 kg rear power lift and up to six additional distributors for controlling machinery used for special cultures. The steering pump is independent, guaranteeing smooth and jolt-free travel, while offering optimum steering angles for easy navigation between rows of plants where space is at a premium. A wide operator seat with gear levers on the right-hand side to enable easy access into and out of the cab. An user-friendly platform, optimally arranged suspended pedals, an adjustable steering wheel and a hinged roll over protection frame guarantee both safety and driving comfort.